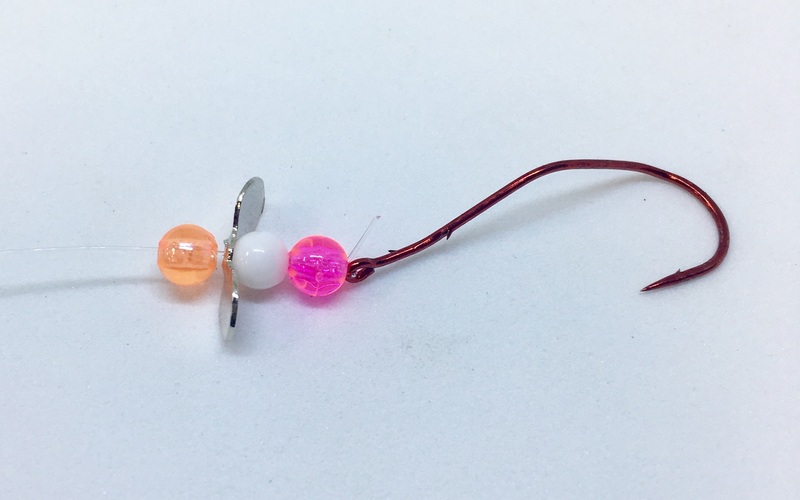 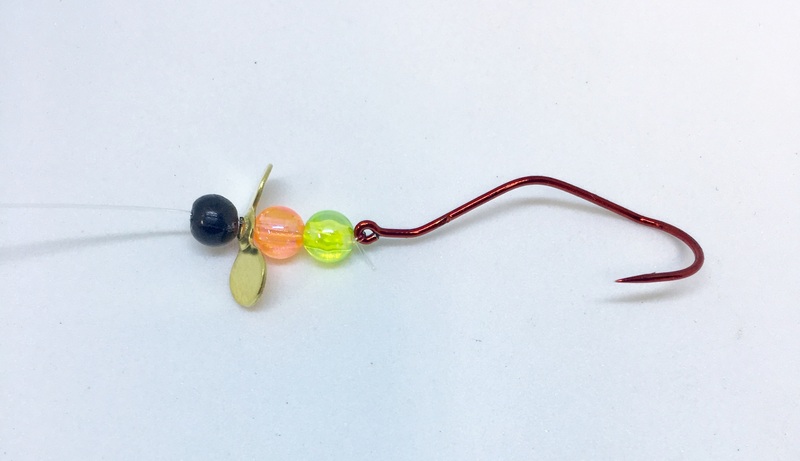 All Slow Death prop rigs listed below are made with a 48" 15 lb P-Line fluorocarbon leader, size 2 Mustad Slow Death hook, propeller blade, 5 mm beads and a quality barrel swivel to eliminate line twist. 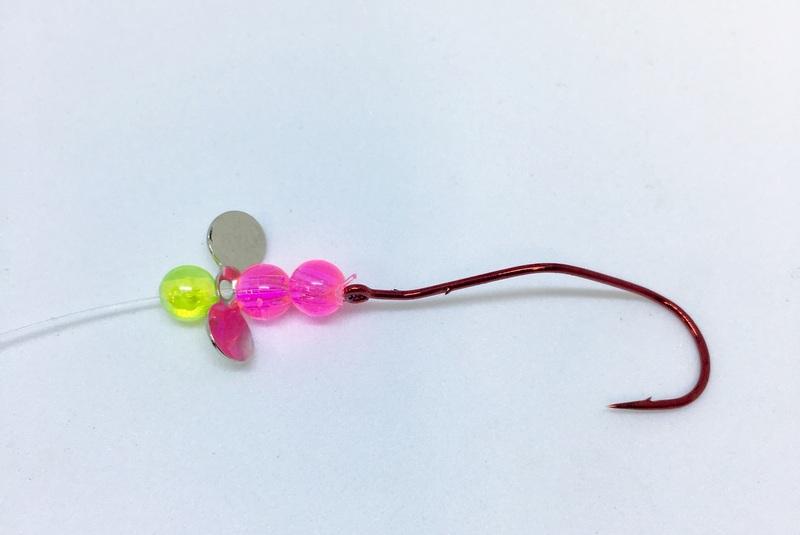 Packaged one per snell holder, or 2 per snell order if ordering multiple of the same color. 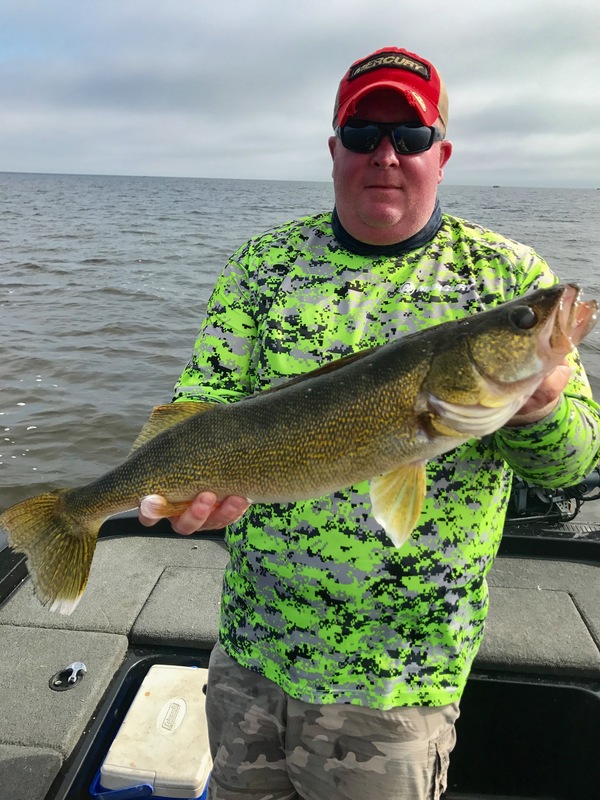 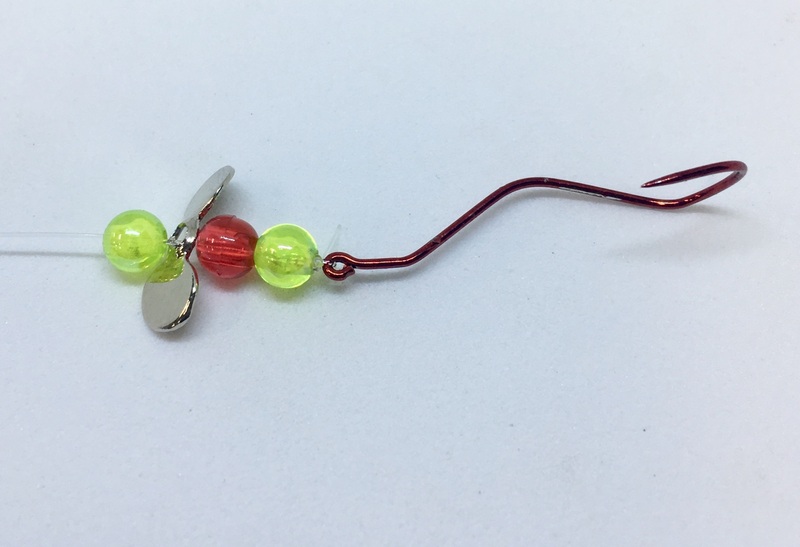 If you would like a different bead color or pattern, please call Pete @ (320) 894-8490, message him directly via Facebook, or email minnkotatackle@yahoo.com and he will customize your order. 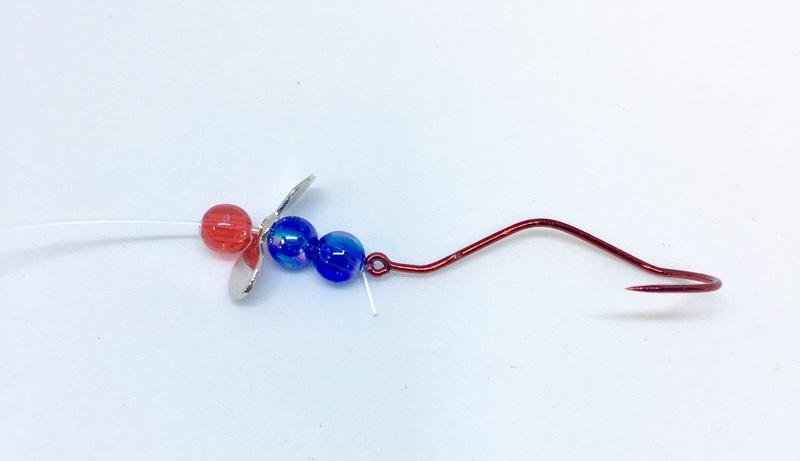 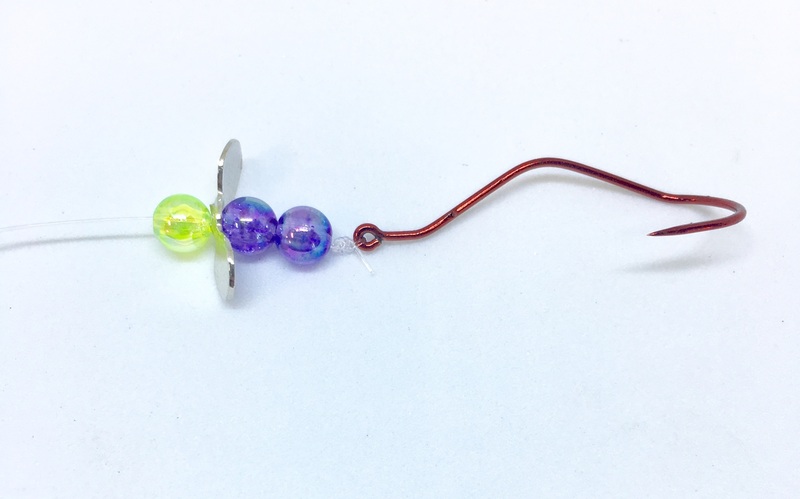 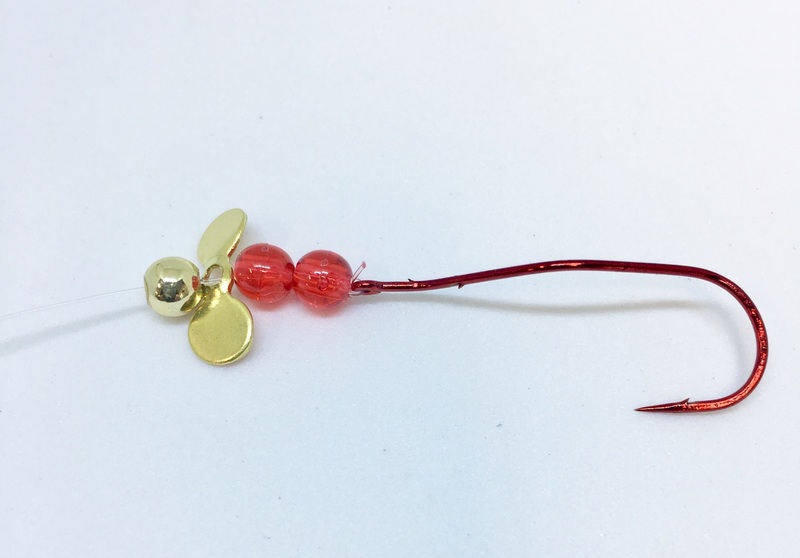 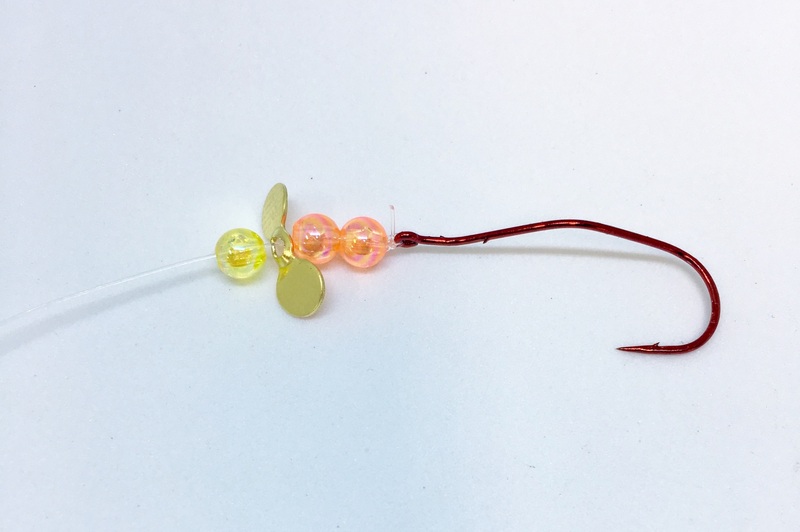 **Red Slow Death hooks are back in stock. 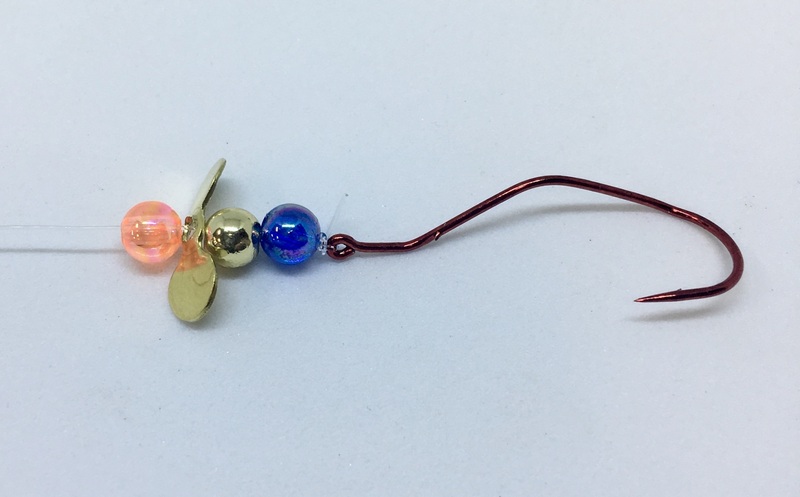 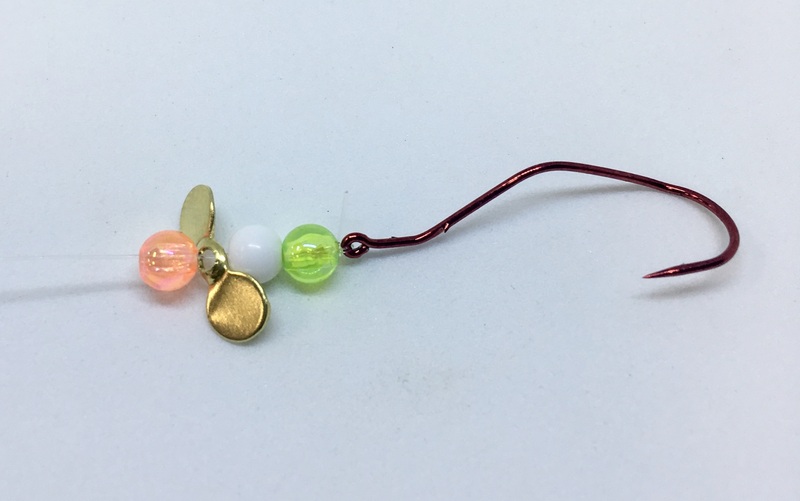 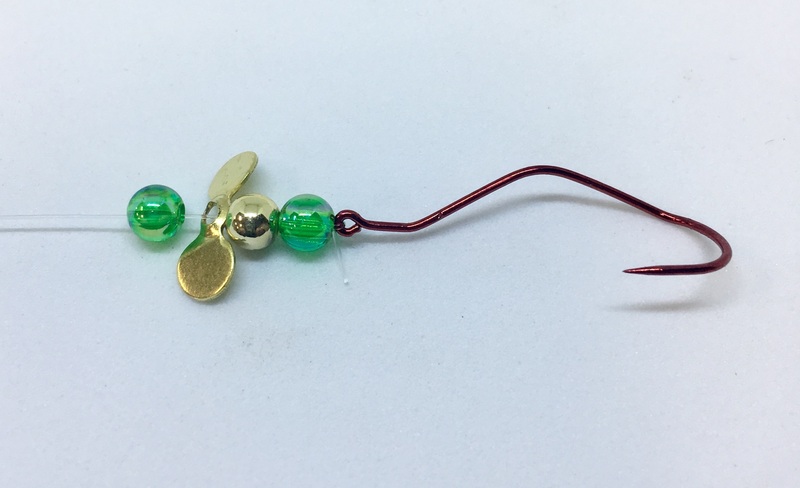 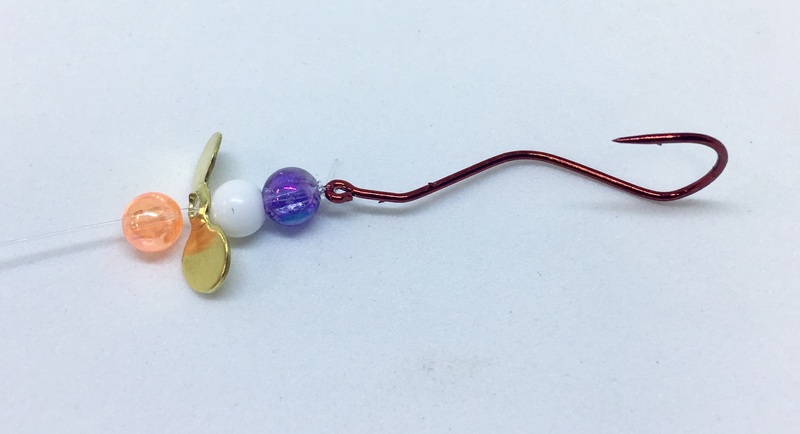 If you would like gold slow death hooks instead of red, place order and then send an email requesting this using the email address above.